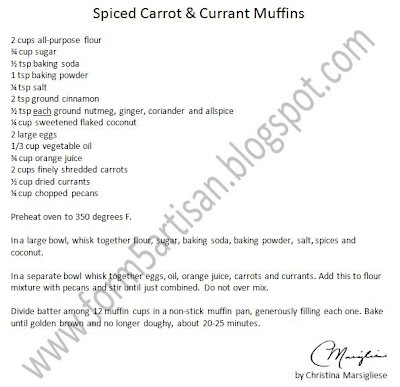 During this time of the year, I can't get enough of Carrot Cake. It's something about the combination of spices, dried fruit and root vegetables that just screams "Autumn!" My urge to make hand-held carrot cakes in the form of Spiced Carrot and Currant Muffins perfectly coincided with my desire to test out a new muffin pan. 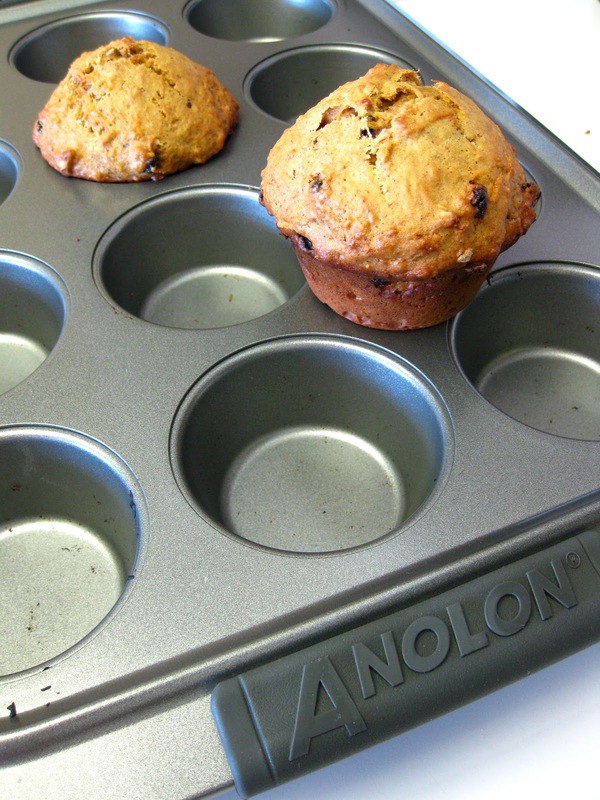 It's the Anolon Advanced 12 Cup Muffin Pan. It claims to have a heavy gauge construction that resists warping and an excellent non-stick finish. The verdict: this pan truly is a dream. It definitely is heavy and there were no signs of warping at 350 degrees F. The non-stick surface is incredible. 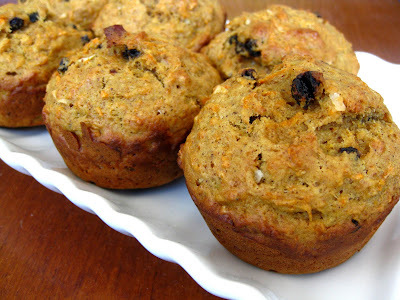 Each muffin popped right out with ease, leaving no crumbs or other signs of sticking behind. It was a beautiful thing. 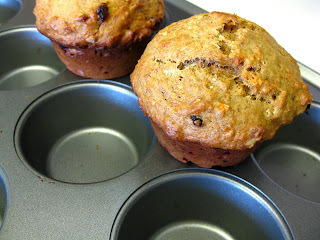 This means no extra oil or fat needed to "grease" the pan, and no need for paper liners. I would definitely recommend this pan. It is easily available from CSN Stores.